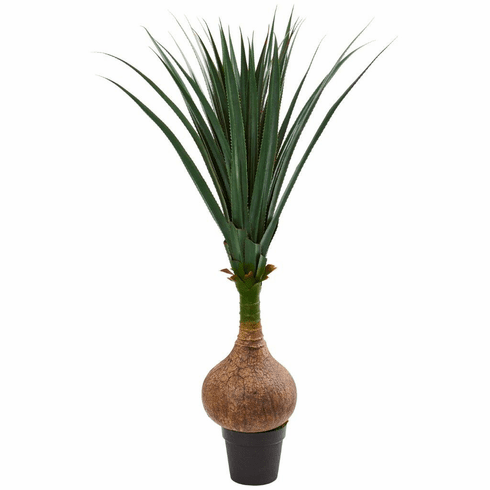 With multiple long, sharp green leaves that have the appearance of growing straight out of the large bulb at the base, this 4.5’ yucca artificial plant has a fun and different appearance. Set it on top of a white or black vase so as to expose the unique bulb and arrange it on your entry table with a stack of books and a woven basket that holds your essentials. Height: 4.5 Ft., Width: 8 In., Depth: 8 In., Color: , Pot Size: H: 5.5 In. W: 7 In. D: 7 In.